Here for the first time? Learn how to sign up and find out what all the fuss is about. 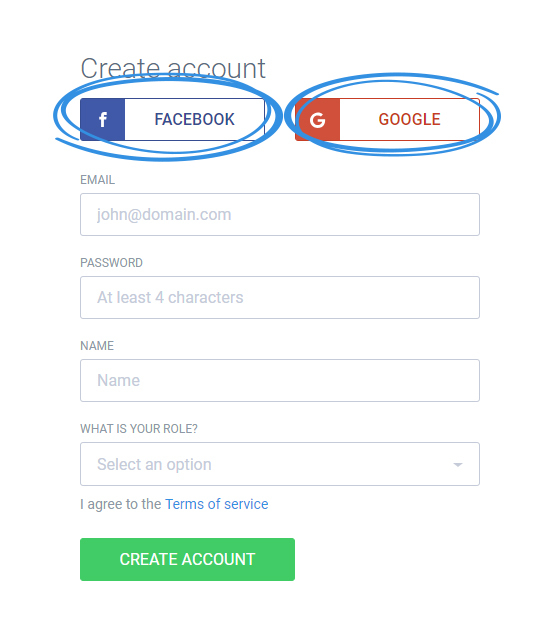 The easy way is to select one of the social media registration methods: Facebook or Google. 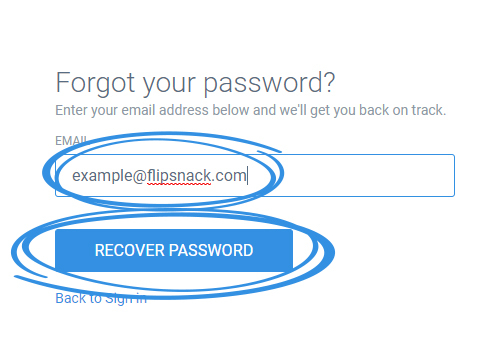 If you registered with one of the social media options and you want to switch to regular Flipsnack login method and to set a password, click on Sign in. Afterwards, select Forgot password. 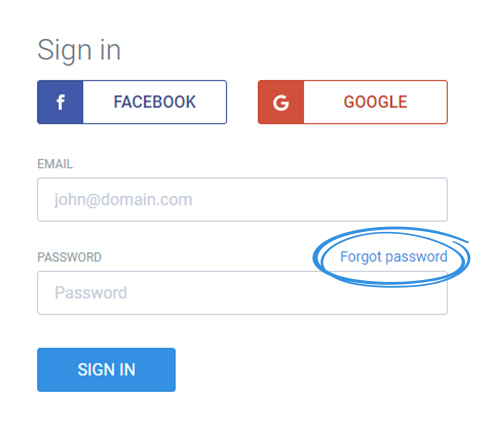 In the email input, enter the email corresponding to your Facebook or Google account, then click on Recover password and an email with instructions will be sent to you. a. While on the Flipsnack home page click on Sign Up. 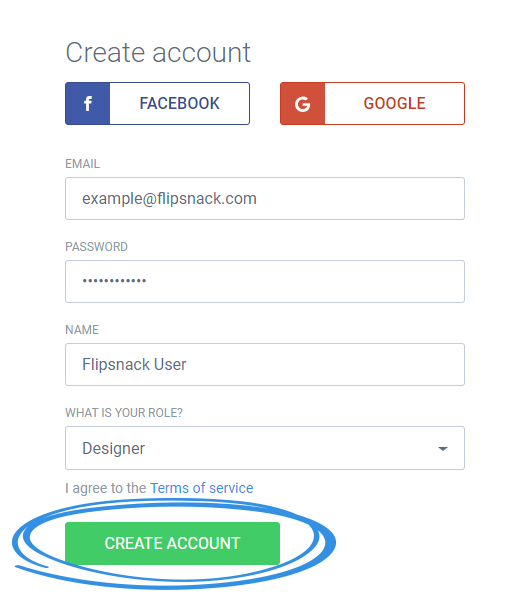 Important: Your Flipsnack account and editor will not be affected by the role you select. c. Click on Create Account.